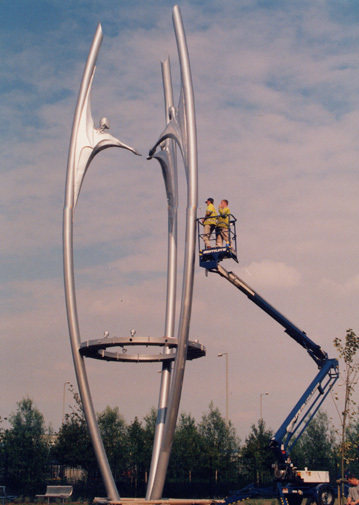 An elegant 16m high steel and cast aluminium sculpture, commissioned by Capital Bank for their call centre in Speke, Liverpool. The sculpture depicts three striking, angel-like figures reaching toward one another. It’s form is inspired by the Art Deco decoration seen on the old Speke aircraft hangars. 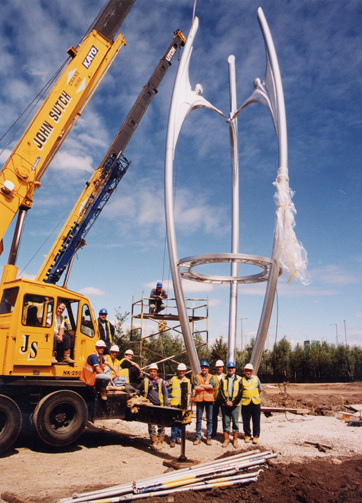 The artwork was also a beacon to the planned regeneration of Speke, with the aspiration of ‘coming together’ in co-operation, unity and friendship. 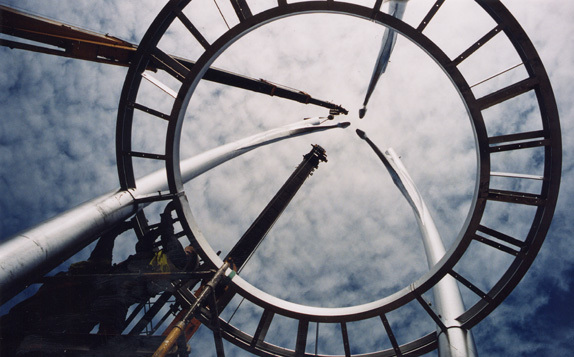 The sculpture was installed in July 1999.